Cyber Group Studios and Outright Games teamed up to create the first video game inspired by the new animated television series based on the best-selling book by Jonny Duddle, Gigantosaurus. The video game will be available for PlayStation 4, Xbox One, Nintendo Switch and PC and will feature the four dinosaur heroes Rocky, Bill, Tiny, and Mazu in an all-new, action-packed story geared toward kids and families. 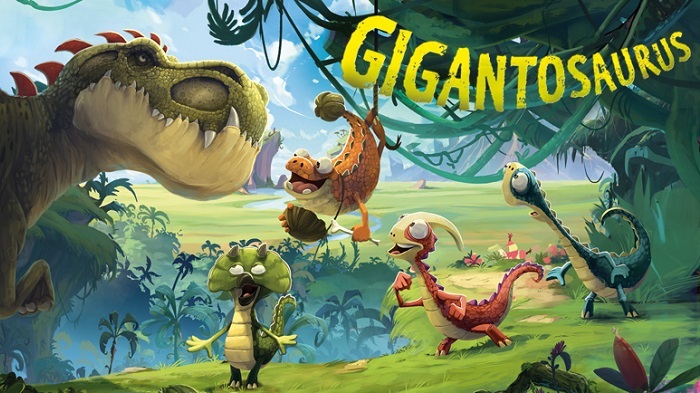 Geared towards kids and families, the debut game brings players directly into the world of Gigantosaurus as they zoom through the stunning series-inspired locations and engage with the storylines.